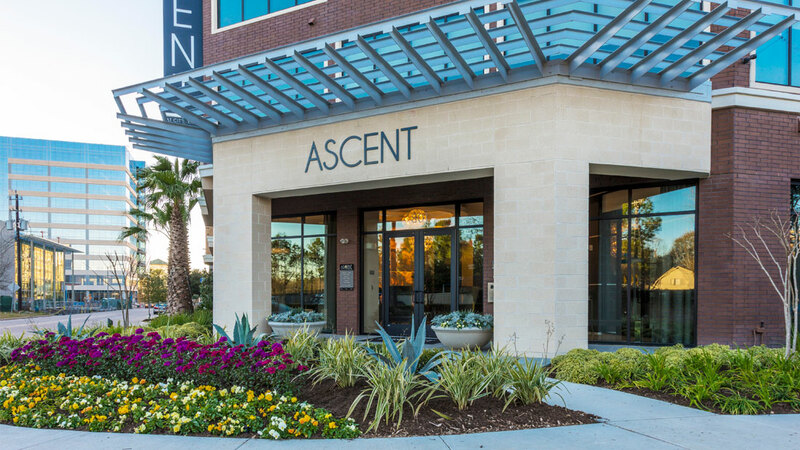 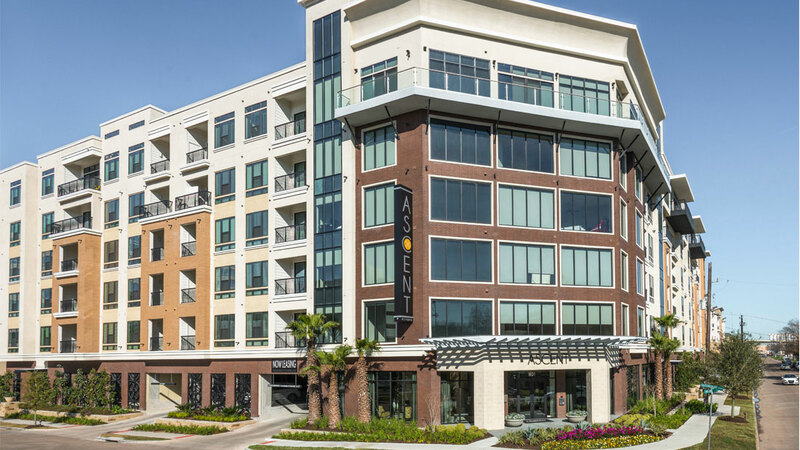 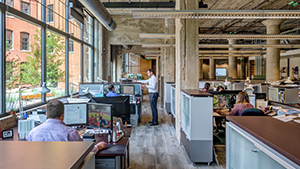 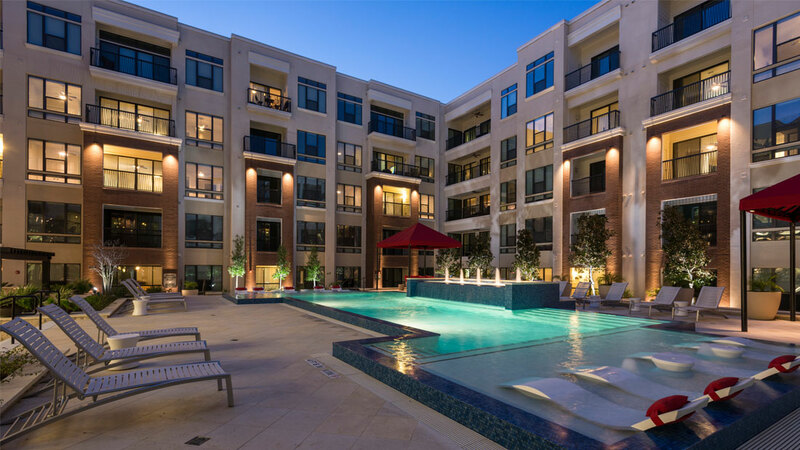 Ascent at CityCentre, located adjacent to The Domain at CityCentre, is a podium project with perimeter landscaping at the base of the building and a large interior courtyard on top of the garage. 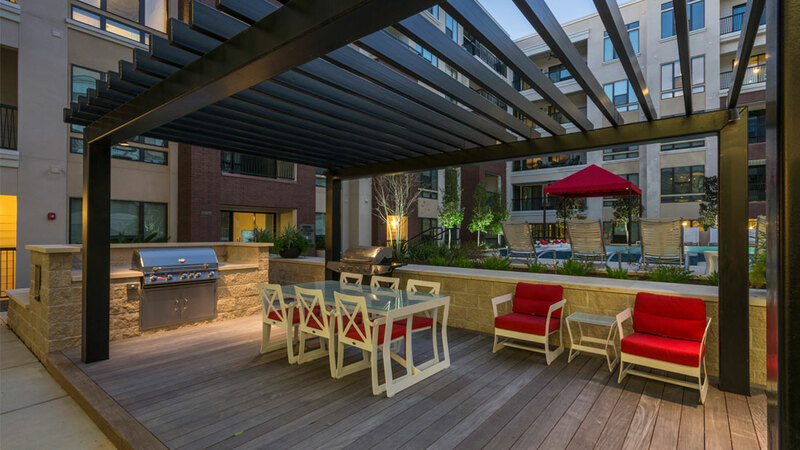 The perimeter landscaping consists of raised stone planters, enhanced paving at the garage and building entries and lush plantings to blend with the adjacent residential properties. 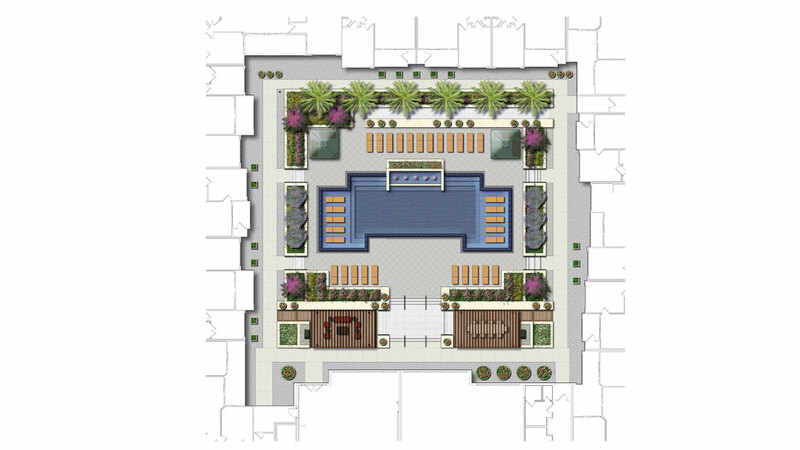 The courtyard includes a raised swimming pool, cabanas, arbors, and wood decks. 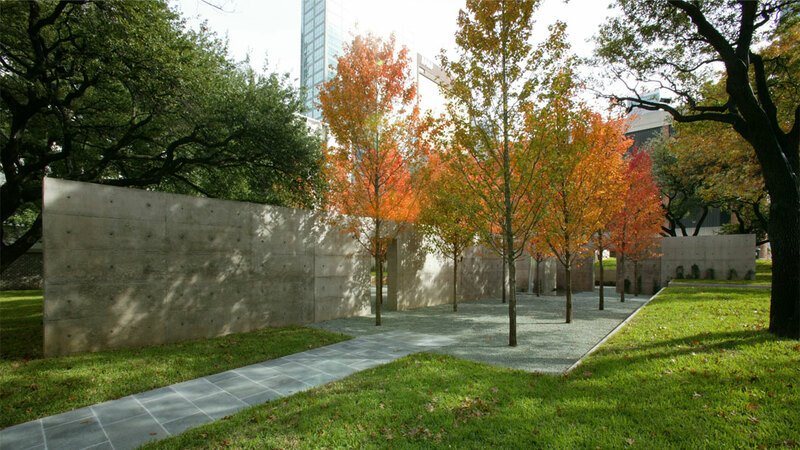 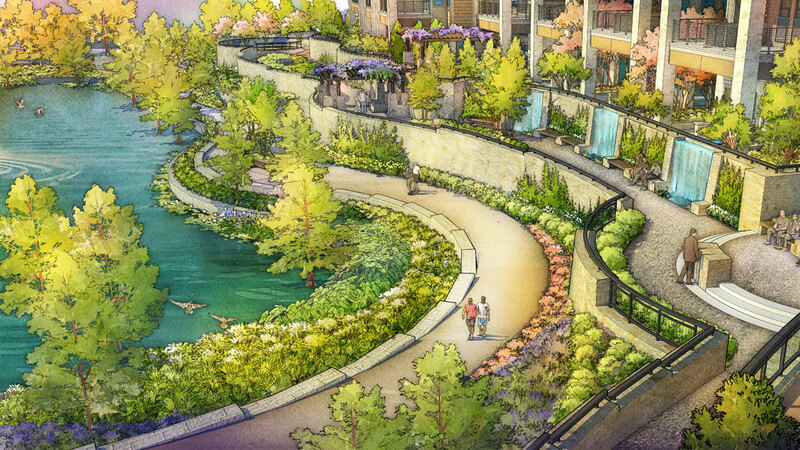 The open space between The Ascent and The Domain is re-designed to include seating, pedestrian connections of the two projects, additional planting, and larger lawn areas.